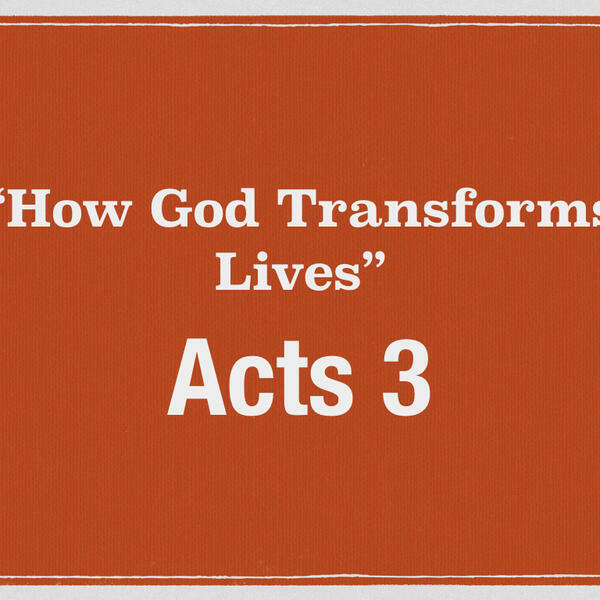 We survey the first part of Acts 3 looking at the Spirit's work in bringing grace-poor and grace-rich people together. We learn lessons about noticing people and expecting the unexpected. Thank you for listening. You can find more podcasts on this channel.